This vibrant collection of seasonal l flowers beautifully hand tied make the perfect statement. For something bold and beautiful this is the one. 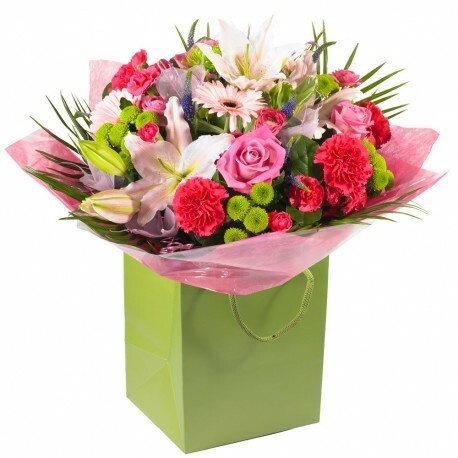 A blast of cerise, lime and shades of pink with matching luxury gift wrap and box and containing water. add a card message to complete. Hand made and delivered in Hereford and surrounding area by Hillmans Florist.